Remittances are now counted in the economies of developing countries, with wide recognition that monies transferred informally, surpass sums received through formal channels because of the charges involved in the latter. Commercial banks are now offering competitive services to customers receiving remittances because it is good business for them to do so. DAWIT ENDESHAW, FORTUNE’S STAFF WRITER talks with bankers and their customers about the formal business of receiving remittances. A line of people of are waiting to access foreign currency exchange and remittance services at Betlhem’s window. Ephrem Mekuria, communication director at CBE. Betlhem Tsegaye, a customer service officer at Addis Abeba branch of CBE is seen at her window serving customers. As holidays approach, it is often common to see a significant number of people queuing up at every bank window for various transactions, one of which is receipt of remittances. 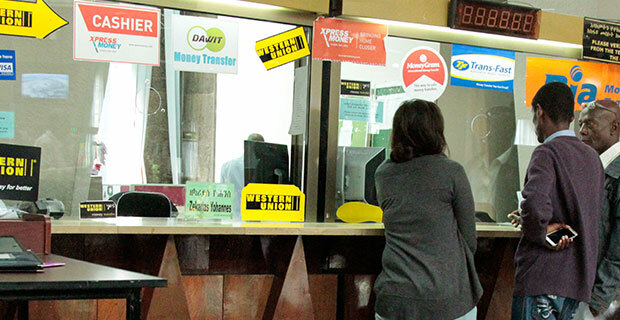 With all banks promoting themselves as better channels for remittances, the Commercial Bank of Ethiopia (CBE), the largest bank in the country, has stood apart by honouring 445 remittance customers through various awards. 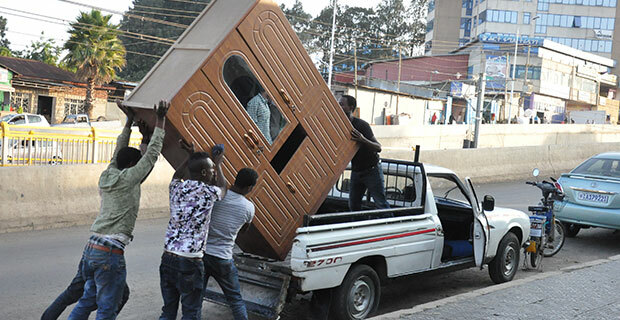 The awards ceremony at the Hilton Addis Hotel on September 8, 2015 saw these customers, who received money sent to them through the CBE, walking away with refrigerators, microwaves and other electronic items. The winners of this draw were selected from among people who used the remittance services of the bank starting from the Easter holiday. The best such clients got from the bank previously was mobile cards. 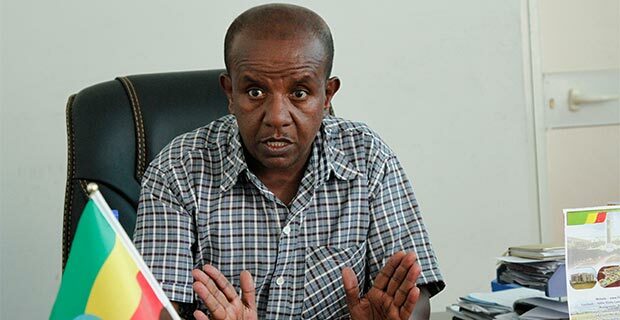 The bank opted for much larger awards following its experiences with the “Save and Win” lotteries, which awarded automobiles, water pumps and other items to customers for net savings, according to Ephrem Mekuria, communications director at CBE. The bank has just concluded its fourth “Save & Win” lottery. “Save & Win” has helped to boost savings, Ephrem said. According to the bank’s 2014/15 fiscal year report, its deposits have grown by 25pc to 241 billion Br from the previous year’s performance. The bank is also advertising the second round of the remittance lottery, for recipients starting from two weeks ahead of the New Year to October 2015. Although not going to the extent of the CBE, private banks are also promoting their services in different ways, in addition to the usual adverts in different media. 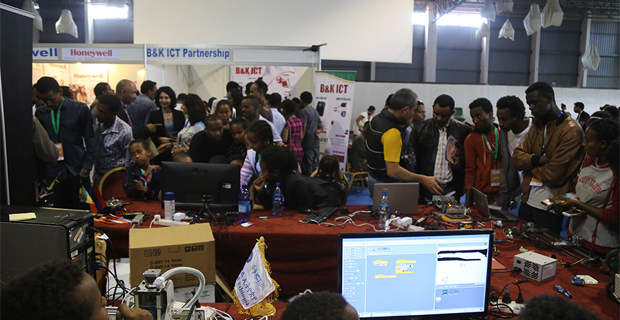 The Bank of Abyssinia (BOA) sponsors radio and television programmes; it has also its own airtime on radio. It has also cut a deal with three new remittance service operators: Ezra Remit, MoneyGram and Kaah, increasing its partners to nine. 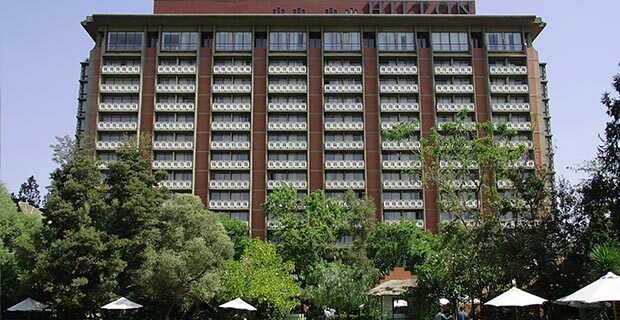 All banks enter into a deal for remittance service on the approval of the National Bank of Ethiopia (NBE), with the requirement of licence renewal every two years. 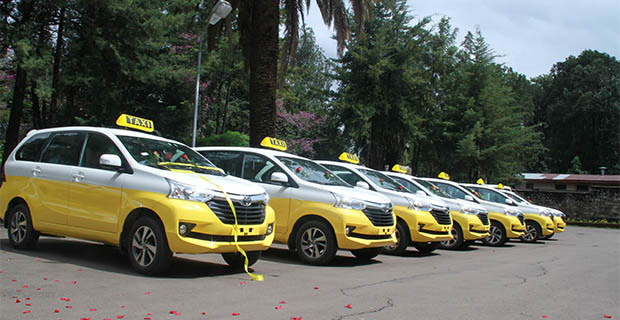 “Before we make any agreement, we make sure that these operators are credible and legal and then we consider their geographical coverage in terms of reaching out to Ethiopian customers who reside abroad, their volume of business and their potential to grow,” said Ephrem. Currently, CBE works with more than 20 operators of which Western Union, Money Gram, Express Money, Dahabshill and Bole Atlantic have a major share in terms of volume of transactions. The bank has collected 4.7 billion dollars from remittances in the 2014/15 fiscal year, up by 0.3 billion dollars from the previous year. 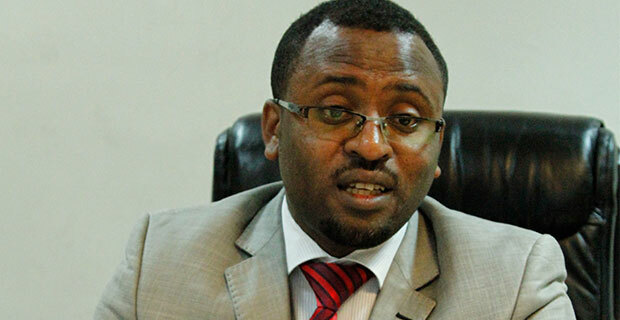 The operators set the service charge, paying commission to the banks they deal with, Ephrem explained. According to data from their website Money Gram charges 10 dollars per 100 dollars received as remittances, whereas Western Union charges 11 dollars. By this rate, the service charge from CBE’s collection of 4.7 billion dollars could be around 470 million dollars or 517 million dollars, from which CBE gets its commission. 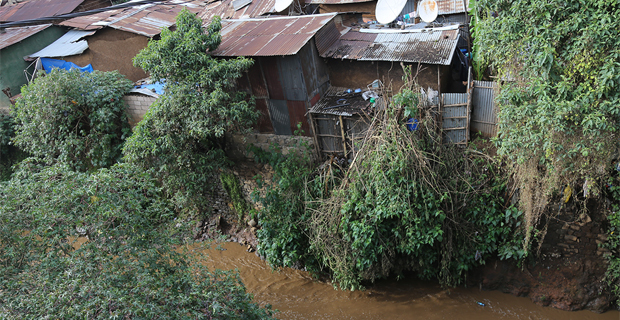 For Rahel Gudeta, who has just come from the US to spend the holidays with her older sister in Dukem, 37Km, East of Addis Abeba, the choice for the sender depends on availability of the operators at the nearest bank. “When I was in the US, I chose Western Union or Money Gram; they hardly differ in their service charges,” she said. 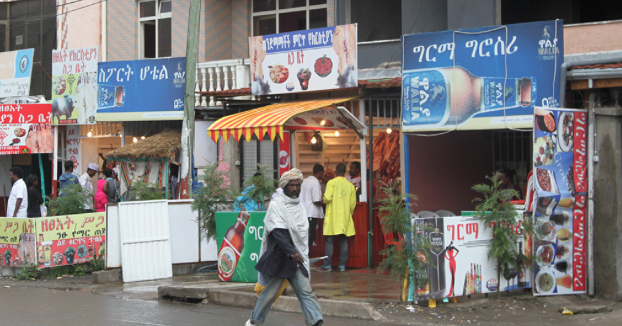 Fortune met her along with here older sister Kidest at CBE’s Arada Giorgis branch, and Cunningham Street. This time she was there as the receiver of 200 dollars sent from the US. 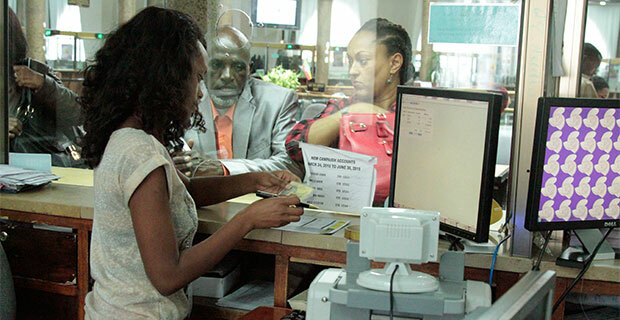 Ephrem says CBE has dedicated remittance service windows at its branches. 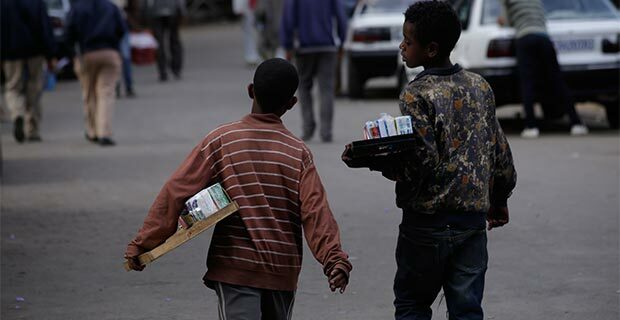 At one such window at an Addis Abeba branch, Betlehem Tsegaye and her colleague were assigned to serve customers. Between September 7, 2015 and mid-day September 10, 2015, they had serviced 158 remittance transactions. Most banks deal with the same money transfer companies. Their competition depends on attracting the receivers, who can go anywhere to receive their money. This was part of the reason for the aggressive expansion of branches by different banks during the 2014/15 fiscal year, says Abraham. CBE, BoA and Bunna Bank have added 133 branches, 20 branches, and 12 branches, respectively reaching 965, 120 and 72 branches. “The demand for foreign currency is high, so is the competition,” says Eshetu Fantaye, president of Bunna Bank. He adds, however, that the high service charge by operators discourages people from using the formal channels. 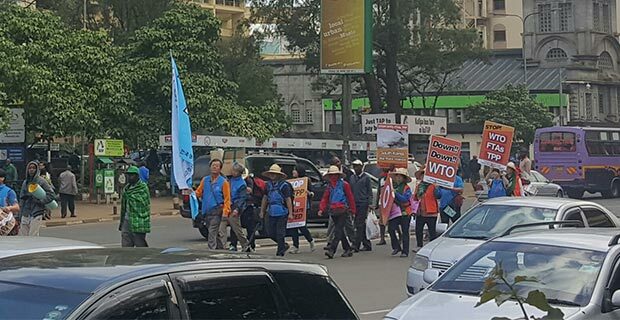 The low performance of the export sector plays a big role in intensifying the competition among banks for foreign currency, for which remittance is one source. Banks need the foreign currency for customers opening Letters of Credit.